Facebook, that behemoth of a social media site, is very good at reminding people of memories. It’s kinda like those memberries from South Park, most of the time the memories it chooses to remind you of are fairly insigificant. Such as “hey, remember when your dog threw up on your bed?” or “remember when you got stuck in jury duty?” Yeah, those are days I wanted to remember. However, this time their memories function managed to dig up our trip to Japan last year. Not that I had forgotten it at all, it was pretty significant, but what I didn’t do was share photos of the trip! It was a pretty intense trip visiting family and friends, and by the time we’d get back home or to our hotel rooms, I was just too exhausted to post anything. What Facebook reminded me of was to actually share with you some photos of our trip, what we did, and share stories. Okay, back to the story. 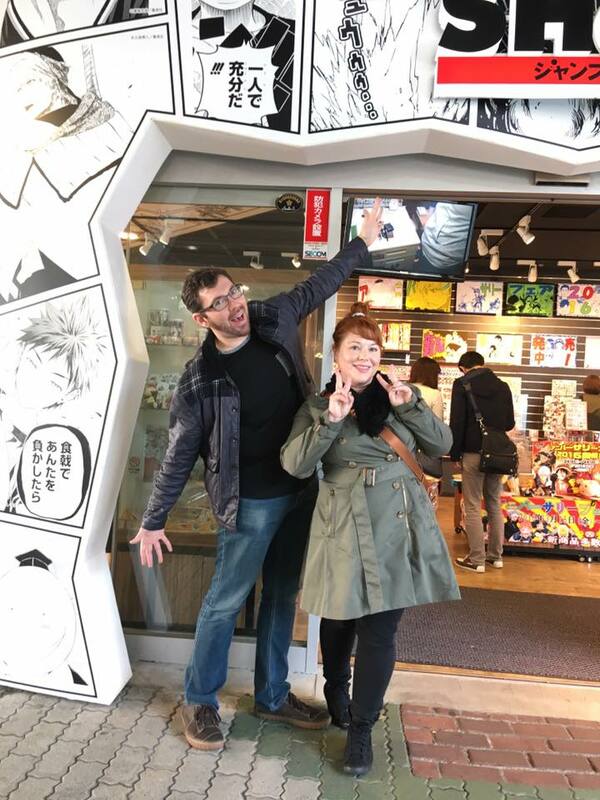 We got to visit the Shonen Jump Shop at Tokyo Dome City with Megumi and her husband Kiyo. I’m a huge One Piece fan, so naturally all the photos with Luffy and the crew. I also was able to pick up more editor copies of manga boards, I love these because I can show my students what the editing process for manga looks like. The boards, usually two page spreads, show editor’s comments, approval stamps, and page stamps for where they’ll be published in the Shonen Jump magazine. I love how behind-the-scenes it feels, just a little glimpse into the larger comic industry. 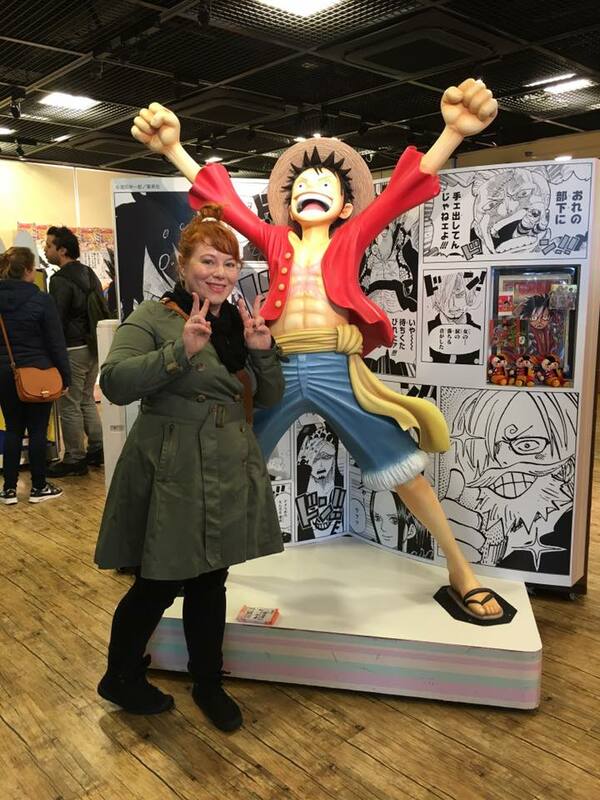 After we visited Tokyo Dome City, we hopped on the subway to go to Tokyo Tower, they had a special One Piece exhibit event there! It was a fantastic surprise! I know One Piece isn’t super popular in America, but it is very popular in Japan.